2017 was a banner year for the Nintendo Switch; with several marquis titles coming from Nintendo. 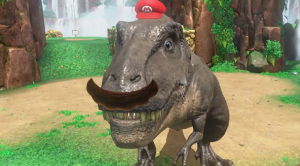 Super Mario Odyssey came out near the end of the year and was Mario’s big debut on the switch. Having played through it, I think this may be my least favorite main Mario game in some time. 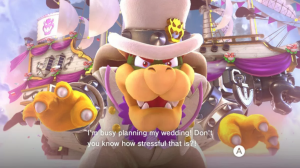 The story of Super Mario Odyssey finds Mario once again having to stop Bowser from capturing princess Peach. Now decked out in an awesome tux, Bowser defeats Mario easily at the start. It turns out that Bowser has also stolen the sister of a spirit named Cappy, and the two team up to save Peach. As always, the story is just an excuse to take Mario out and get into all kinds of platforming shenanigans. 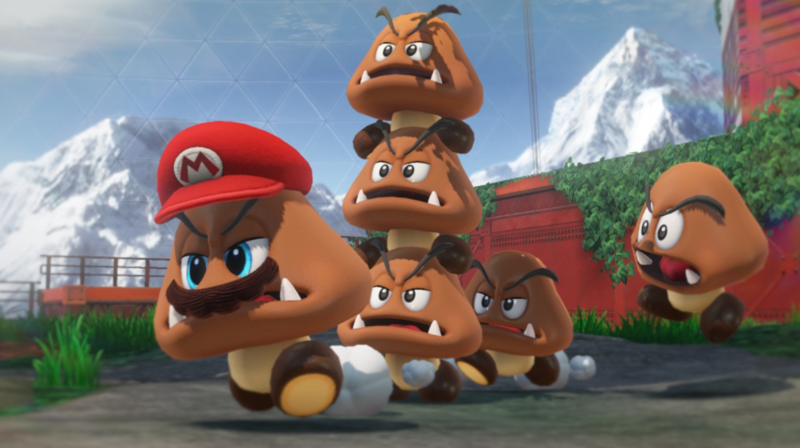 Mario’s move set from previous games returns, with one new feature. Instead of his tried and true cap, Mario now wears Cappy on his head and makes use of his abilities. You can throw the hat out to smack enemies and far away objects, you can bounce on it for an extra jump, and the big one: You can possess enemies with him. Instead of suits this time around, Mario can now possess enemies and make use of their powers. Each enemy has a different ability for the player to use within that world. 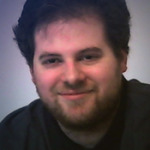 You will need your various abilities for the changes in level structure. The collectible mcguffin this time around are power moons hidden in each world. Within each kingdom, you will have set power moons that must be found that lead you to the world’s boss, but the vast majority are optional. As with previous Mario games, there is a fixed number you need to see the game through to the ending. Unlike the other games, there is no “hub” or overworld to return to once you’ve found a moon, and this goes in hand with the level design. Odyssey’s levels are not the self contained sections of 3D World or Galaxy, but the open-ended design of Sunshine and 64. Each kingdom features the main land and multiple cutaway sections that are hidden. Within these cutaways are the focused platforming sections of previous Mario titles; among other challenges. You will need to replay the kingdoms several times to unlock all the possible moon locations and challenges (with a lot of them locked to the post game). While this may sound like a good compromise of design, it ends up hurting Super Mario Odyssey’s gameplay. 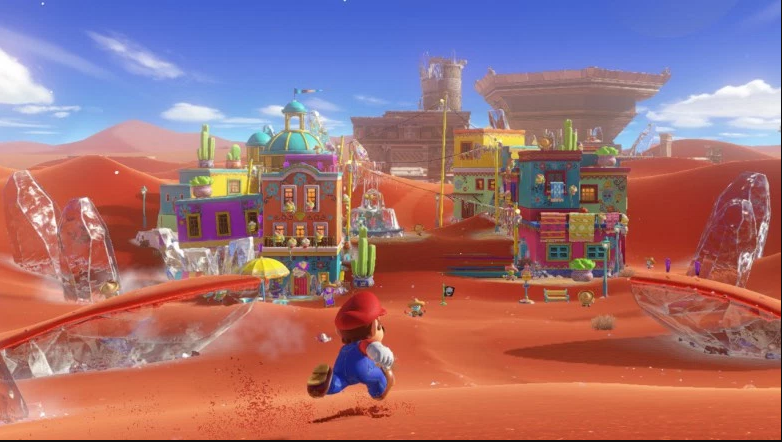 The level design in Super Mario Odyssey in my opinion is the worst of the main games released so far. Each Kingdom feels more in home in the open world genre rather than a platformer or action-adventure game. There’s very little personality to each area from a design perspective; with each world only having a handful of unique obstacles and enemies. The platforming and general gameplay of a Mario title are just divorced from the design of the kingdoms. Mario is a lot less responsive this time around compared to the previous games. Longstanding moves like the wall jump, triple jump, and long jump, have been weakened considerably. The height and distance you could get from these moves has been decreased. Mario also seemed slower when it came to building speed and performing jumps quickly. I found that Mario wasn’t as responsive in terms of his base abilities. One of my favorite moves was a long jump into a second long jump to get across platforms. I could not get it to go off reliably as fast compared to previous Mario games. There’s a greater focus on momentum this time around, as it’s harder to get Mario to do something from standing still. The only moves that are responsive involve using cappy. This time around, the most complicated maneuver is jump, throw cappy, ground pound into dive, bounce off of cappy, and then dive again. I also want to point out that the game was built around having the joy-cons un-docked, with many moves tied to shaking the joy-con with no button alternative. To make matters worse, several kingdoms are nothing more than boss arenas that feel like they were bumped up to try and pad the game out. The one great level in the game is New Donk City of the Metro Kingdom. Considering all the hype and marketing around it, it’s the only level that really delivers. The skyscraper design marries perfectly to Mario’s platforming, and it feels like this level was given the most time and care. I almost felt like they should have just expanded on this level and make it the game’s central hub. Even if every kingdom was at the same level of New Donk City, it wouldn’t stop this feeling of padding with the collectibles. Super Mario Odyssey features more moons compared to the other collectibles in previous titles; unfortunately, the moons are built around quantity instead of quality as in the other games. The number of moons that are rewarded for getting through unique sections is just a fraction compared to the rest. Many moon challenges are repeated throughout each kingdom; such as finding seeds, picking the right song on a sound test, and many more. In fact, there are moons that are literally just out in the open waiting to be picked up for an easy point. I have not been this bored playing a Mario game in some time, and my hunt for the 500 needed to unlock the final area became more and more tedious as it went on. Outside of that final area, there are no additional gameplay rewards for getting all the moons or extra challenges to go after. One of the best parts of Galaxy and 3D World’s design was the fact that every stage felt different. Even going as far back as 64, each world tried different challenges and situations to test the player. The one good part of collecting came in the form of the various costumes and curios to attach to the ship. The costumes were either original, came from other Nintendo characters, or a reminder of Mario’s past jobs. The Odyssey itself acted as a trophy room for all the items you could collect while exploring the various kingdoms. To make things even more annoying, Odyssey features one of the best 3D camera, and at the same time, one of the worst for this kind of game. Previous Mario titles (and 3D action/adventure games) have featured a smart camera, or the camera tries to put itself in the best possible position with some control by the player. This allows the player to focus on the platforming and not on the perspective changes. Super Mario Odyssey’s camera is completely free, and with few exceptions, allows the player to control it 360 degrees around Mario. While this is certainly a great achievement, it ends up adding to the difficulty of play in a lot of cases. 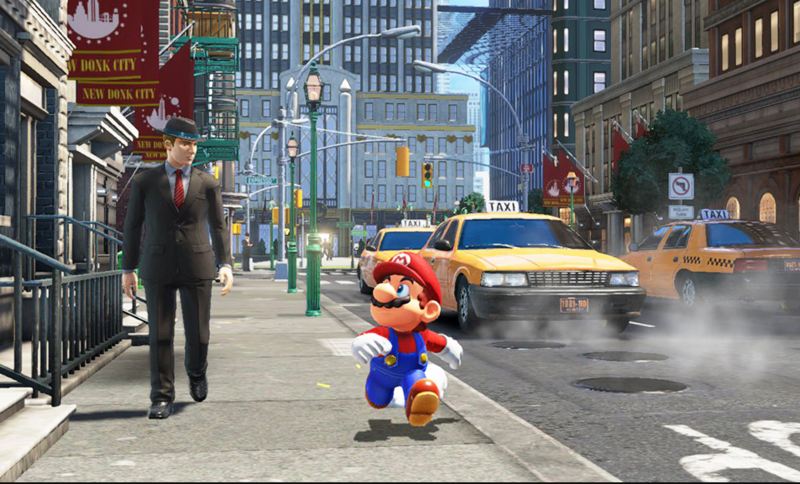 The problem is that when you adjust the camera, you are also changing Mario’s trajectory. This can lead to easy deaths when trying to adjust during timed sections or when Mario is moving really fast. By the time I beat Darker Side, I did not want to play Super Mario Odyssey anymore. The combination of repeated design, poor camera, and lackluster controls has made me quit this journey early. Super Mario Odyssey for my money is definitely the worst main branch Mario title I’ve played, despite the few moments of brilliance here and there (such as dapper Bowser, Mario’s costumes, and New Donk City). While it may be a great game released in 2017, like Dark Souls 2, it still remains the bottom for its franchise. If Breath of the Wild took the Zelda franchise in a brave new direction, Super Mario Odyssey takes Mario backwards.